NASA has tapped APL to develop the ambitious Solar Probe Plus mission, renamed Parker Solar Probe in May 2017, which will study the streams of charged particles the sun hurls into space from a vantage point within the sun's corona – its outer atmosphere – where the processes that heat the corona and produce solar wind occur. At closest approach Solar Probe would zip past the sun at 201 km/s, protected by a carbon-composite heat shield that must withstand up to 1430 degrees Celsius and survive blasts of radiation and energized dust at levels not experienced by any previous spacecraft. Solar Probe is part of NASA's Living with a Star Program, designed to learn more about the sun and its effects on planetary systems and human activities. Experts in the U.S. and abroad have grappled with this mission concept for more than 30 years, running into seemingly insurmountable technology and budgetary limitations. But in February an APL-led team completed a Solar Probe engineering and mission design study at NASA's request, detailing just how the robotic mission could be accomplished. The study team used an APL-led 2005 study as its baseline, but then significantly altered the concept to meet challenging cost and technical conditions provided by NASA. APL designed and built the spacecraft, on a schedule to launch in 2015. The compact, solar-powered probe would weigh about 1,000 pounds; preliminary designs include a 2.7 m diameter, 15 cm thick, carbon-foam-filled solar shield atop the spacecraft body. Two sets of solar arrays would retract or extend as the spacecraft swings toward or away from the sun during several loops around the inner solar system, making sure the panels stay at proper temperatures and power levels. At its closest passes the spacecraft must survive solar intensity more than 500 times what spacecraft experience while orbiting Earth. Parker Solar Probe will use seven Venus flybys over nearly seven years to gradually shrink its orbit around the sun (V7GA), coming as close as 6.2 million kilometers to the sun's photosphere, well within the orbit of Mercury and about eight times closer than any spacecraft has come before. Solar Probe will employ a combination of in-place and remote measurements to achieve the mission's primary scientific goals: determine the structure and dynamics of the magnetic fields at the sources of solar wind; trace the flow of energy that heats the corona and accelerates the solar wind; determine what mechanisms accelerate and transport energetic particles; and explore dusty plasma near the sun and its influence on solar wind and energetic particle formation. Details will be spelled out in a Solar Probe Science and Technology Definition Team study that NASA will release later this year. NASA will also release a separate Announcement of Opportunity for the spacecraft's science payload. Solar Probe will be fortified with heat-resistant technologies developed for APL's MESSENGER spacecraft, which completed its first flyby of Mercury in January and will begin orbiting that planet in 2011. 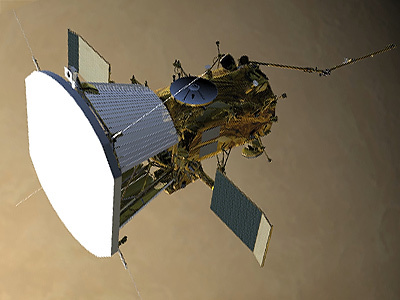 Solar Probe's solar shield concept was partially influenced by designs of MESSENGER's sunshade. Instruments for Parker Solar Probe were selected in 2010. SWEAP (Solar Wind Electrons Alphas and Protons Investigation) from the Smithsonian Astrophysical Observatory in Cambridge, Mass. This instrument will count electrons, protons and helium ions in the solar wind and measure their properties. WISPR (Wide-field Imager for Solar Probe) from the Naval Research Laboratory in Washington, D.C. This payload will make three-dimensional images of the sun's corona, solar wind and shocks around the spacecraft. The Wide-Field Imager will image the plasma which the other instruments directly sample. FIELDS (Electromagnetic Fields Investigation) Experiment from the University of California Space Sciences Laboratory in Berkeley, Calif. This investigation will make direct measurements of electric and magnetic fields, radio emissions, and shock waves that course through the sun's atmospheric plasma. The experiment also serves as a giant dust detector, registering voltage signatures when specks of space dust hit the spacecraft's antenna. ISIS-EPI (Integrated Science Investigation of the Sun - Energetic Particle Instruments) from the Southwest Research Institute in San Antonio. This payload consists of two instruments that will monitor electrons, protons and ions that are accelerated to high energies in the sun's atmosphere. HeliOSSP (Heliospheric Origins with Solar Probe Plus) led by principal investigator Marco Velli of NASA's Jet Propulsion Laboratory in Pasadena, Calif. Velli is the mission's observatory scientist, responsible for serving as a senior scientist on the science working group. He will provide an independent assessment of scientific performance and act as a community advocate for the mission. Originally Parker Solar Probe was planned to be launched on a Atlas-5(551) [Star-48GXV] combination. In July 2014, the development of the Star-48GXV upper stage was halted as the development risk was deemed to be too high. This required a switch to a larger launch vehicle. In March 2015 the Delta-4H (upg.) with an additional Star-48BV upper stage was selected as the launch vehicle for this mission.